RIGHT NOW I'M WORKING ON A BIO. FOR GENERAL HOWE HIMSELF. REMEMBER THAT HE'S THE MAIN CHARACTER IN THE ENTIRE SERIES. What do you think of this title page? . . .
STAY TUNE FOR PAGE 1 ON WEDNESDAY! 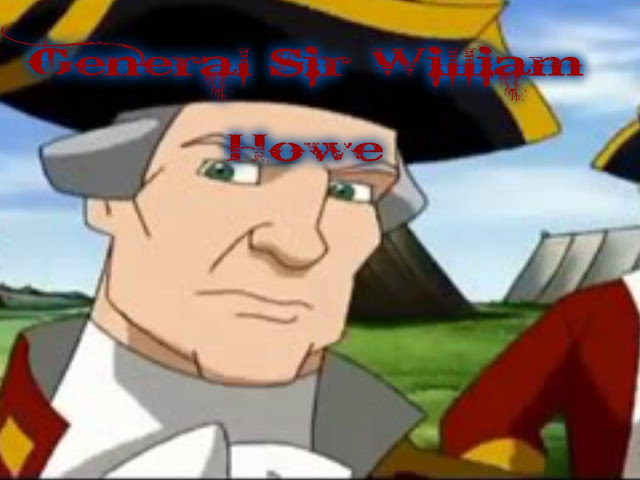 AND STAY TUNE FOR MORE OF THE GENERAL WILLIAM HOWE BIO ON "NEWS UPDATE" ON MONDAY! Issue #2 is here with a very cool cover. Issue 2 is the one with dramas and many more people are getting killed and are left with their headless bodies laying on the ground. This is not the cover for Issue 2. Stay tune on Friday for the title page! Well, I did not past the goal for Issue 3 and having problems with my laptop but I got a few panels finish. Don't forget to stay tune for Wednesday when we are about to start Issue 2. Yes, Issue 2 will have some drama and Evil Gen. Howe cameos. 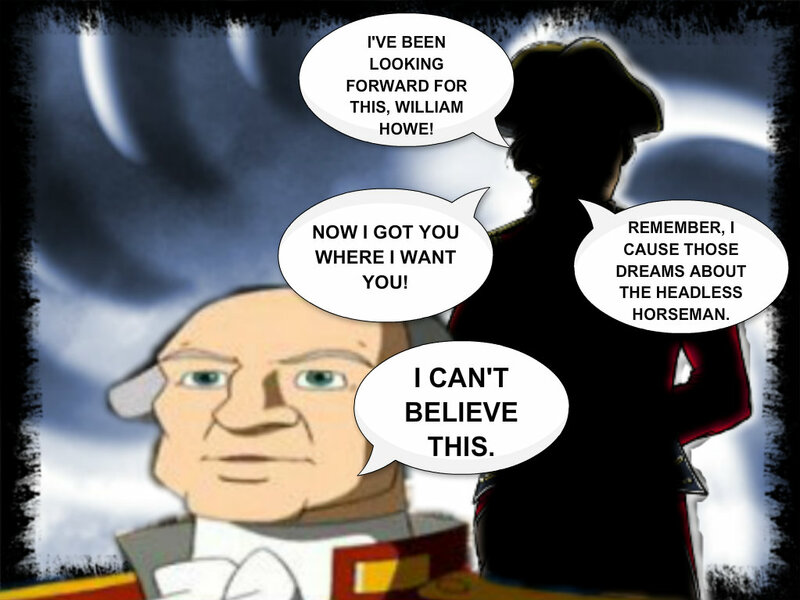 Gen. Howe learns the truth about his scary dream-come-true dream about the Headless Horseman. We already learned about the three headless women's killer is. I'm sorry about the late News update you guys but I'm going to make the Sundays News Updates on Mondays. That's all I have right now til next Monday. Stay tune for the start of Issue 2 on Wednesday! The final page of Issue 1 is here. There will be no update on Friday so we're taking a short break til next Wednesday to start Issue 2 . STAY TUNE FOR ISSUE 2 NEXT WEDNESDAY! 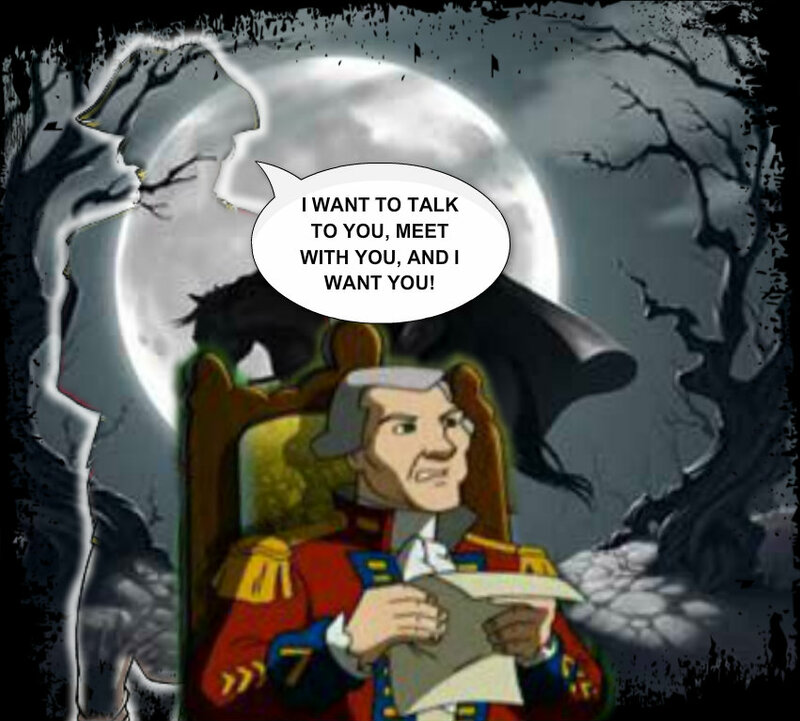 While working on Issue 2 of Sleepy Hollow, I can across the Evil General William Howe. The Evil General Howe was supposed to appear at the end of Act 1. 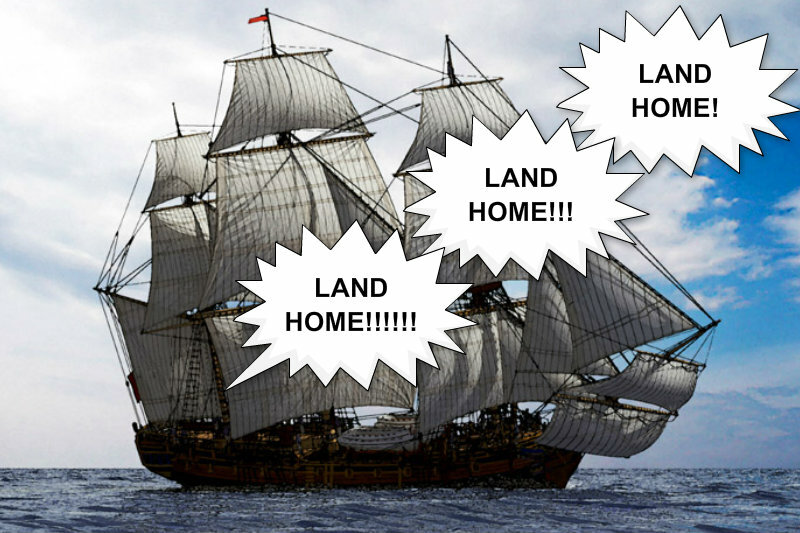 Yes, this could be a first myth in my comic. Evil General Howe on the Left. 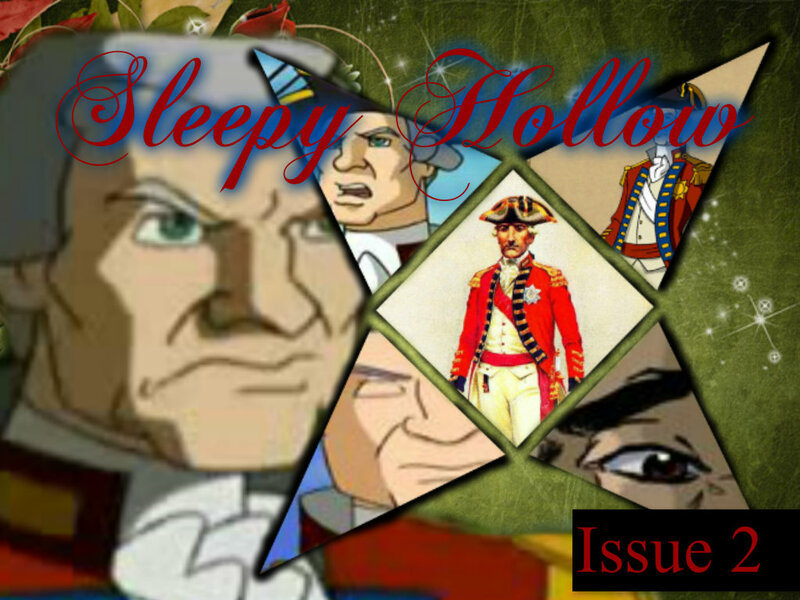 In Issue 2, General Howe talks to his friends about the dreams about the "The Headless Horseman" and news about the murdered women and their missing heads and the fingers points to the Headless Horseman. Well, then, at almost to the end of Issue 2, General Howe call it a night and getting ready to go to bed, then out of nowhere, General Howe is hearing voices. The shadow of Evil General Howe appeared at the end and General Howe in total shock. 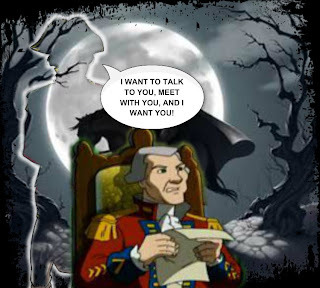 It's true that Evil General Howe does appeared at the end of Act 1 and he does cameo in the end of Issue 2 but as a shadowed figure. You can the shadowed figure of Evil General Howe in the picture above with the "The Headless Horseman". And here is another one as a dark figure and you can see parts of the red on the coat. 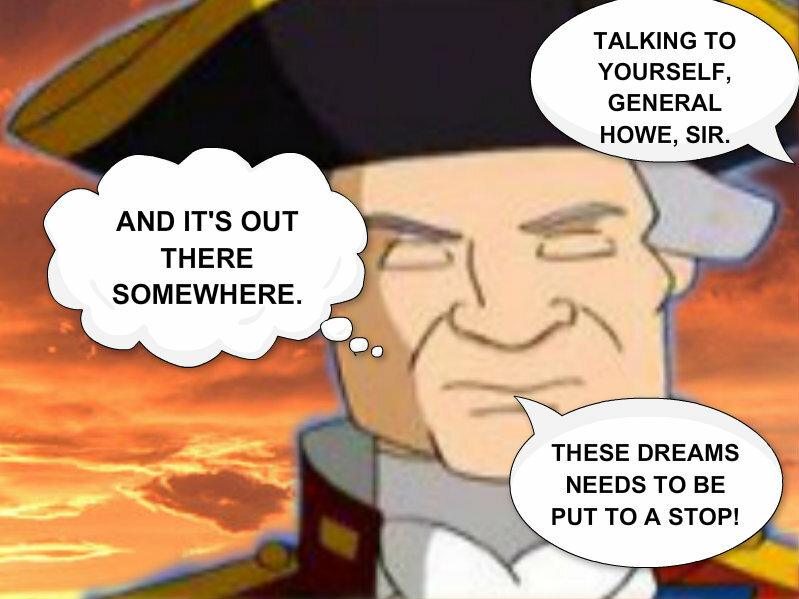 And he just told General Howe that he causes the dreams. 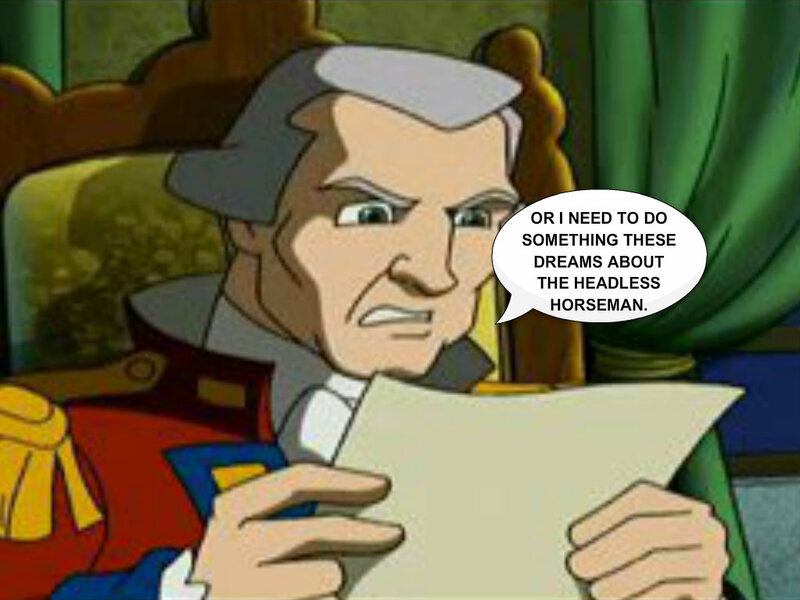 Is the Headless Horseman real or fake in the comic? Return on Wednesday for the final page of Issue 1! We're taking a short break on Friday now that Issue 2 is on the way for week from this upcoming Wednesday. So, after the Wednesday update have past, please return on the 28th of August for Issue 2. Issue 2 will be all about the focus of General Howe's dream and who's causing the dreams! Well, I just finish Issue 2, in which, means that it's time to work on Issue 3. My goal is to get 15 pages done by the end of the week, including cover and title pages. Issue 3 will contain 19 pages plus the cover & title pages. Well, let's make the goal to finish Issue 3 by the end of this week 8/19/13-8/25/13! News Updates will be every Sundays about the Progress and more about the comic. Remember to return to see page 8 of Issue 1 on Wednesday, just Wednesday this week! Next week we'll return to Wednesdays & Fridays! I'm sorry about the late update, well, page 7 is here now. Come back on Wednesday for the final page of Issue 1. Enjoy the eggs, General Howe! Stay tune for page 7 on Friday and return next week for the final page of Issue 1 on Wednesday! We will start Issue 2 on September 11th. I'm still working on Issue 2 at this time, buy September 11th, I'll be all finish with Issue 2 and working on Issue 3 and Issue 4. LAST PANEL: Or I need to do something about these dreams about The Headless Horseman! Preview of the next PAGE! Page 4 is ready to go! Stay tune for Page 5 on Friday! Updates are now on Wednesdays & Fridays! 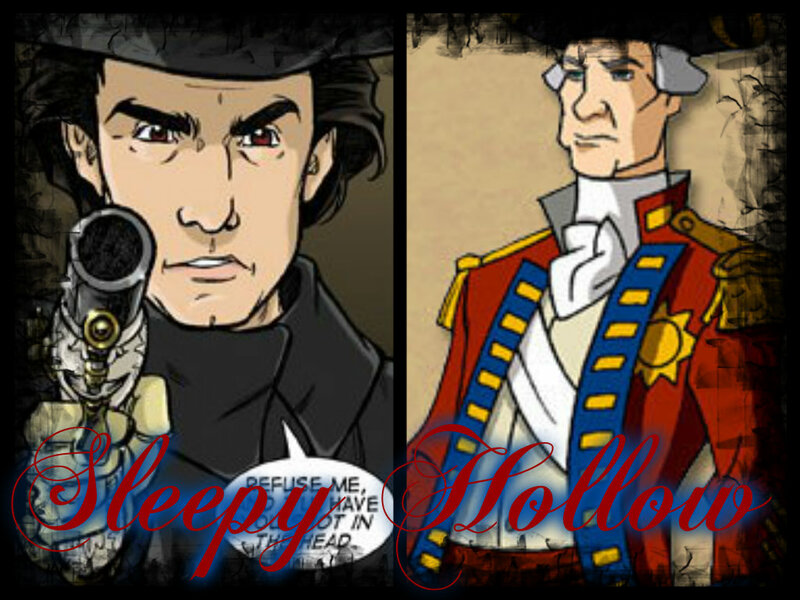 Issue 1 of Sleepy Hollow is getting close to the end. 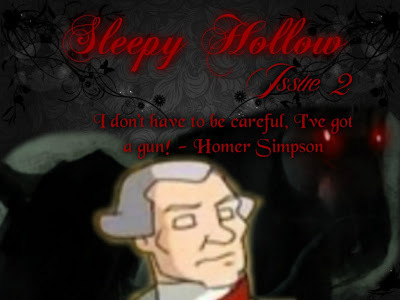 Issue 2 will be longer than Issue 1 and I did say that Issue 1 is the shortest Issue in Sleepy Hollow.